Published: Sept. 16, 2013 at 07:25 a.m.
(4:10) E.Manning pass short middle to D.Scott for 23 yards, TOUCHDOWN. Published: Sept. 15, 2013 at 07:38 p.m.
New York Giants running back Da'Rel Scott scores on this 23-yard pass from QB Eli Manning in the fourth quarter against the Denver Broncos. Published: Aug. 29, 2013 at 10:34 p.m.
New York Giants quarterback Curtis Painter throws a pass to wide receiver Da'Rel Scott who runs it in for a 6-yard TD against the New England Patriots. Published: Sept. 1, 2011 at 10:33 p.m. 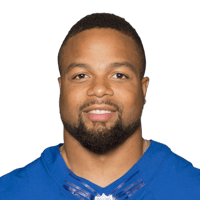 The Giants' fake punt goes to Da'Rel Scott and he takes it all the way for a 65-yard touchdown.